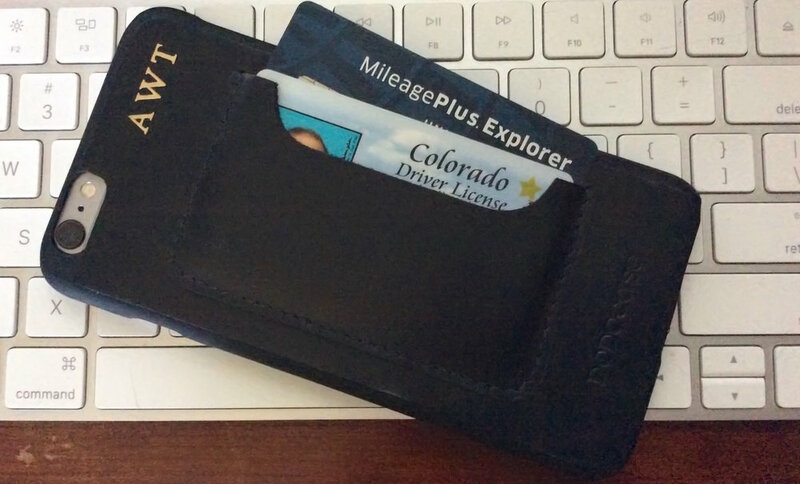 Card cases that turn your iPhone into a wallet capable of carrying a driver's license and a couple of credit cards are nothing new, but it's always newsworthy when a noted accessory manufacturer comes out with one. In this case, the accessory manufacturer is DODOcase, the San Francisco-based maker of an huge array of iPhone and iPad cases that utilize the company's expertise in bookbinding techniques. That's where the new DODOcase Leather iPhone Card Case ($34.99 for iPhone 5/5s/SE/6/6s, $39.99 for iPhone 6/6s Plus) is a bit different from the rest of the DODOcase line. Rather than being a showcase of the bookbinder's skill like most of the DODOcase products (the new Customizer being the perfect example of this), the Leather iPhone Card Case uses a rather generic rubber liner to protect the sides of the iPhone, then uses premium leather for the case backing and the card slot. The Leather iPhone Card Case comes in two finishes -- brown or black leather -- and for an extra $9.99 you can have a three-letter monogram put on it in gold. That's perfect for creating a custom gift for a friend. While it's not the most original case of its type, the DODOcase Leather iPhone Card Case is well-constructed, can be monogrammed, and offers a good mount of protection -- all for a reasonable price. It's easy to install and remove in case you wish to swap cases, and it's definitely a nice way to get rid of that unsightly wallet bulge.